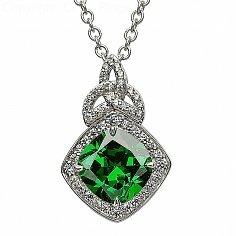 Handcrafted in Sterling silver and embellished with Swarovski® clear crystals and a large central Emerald green crystal. 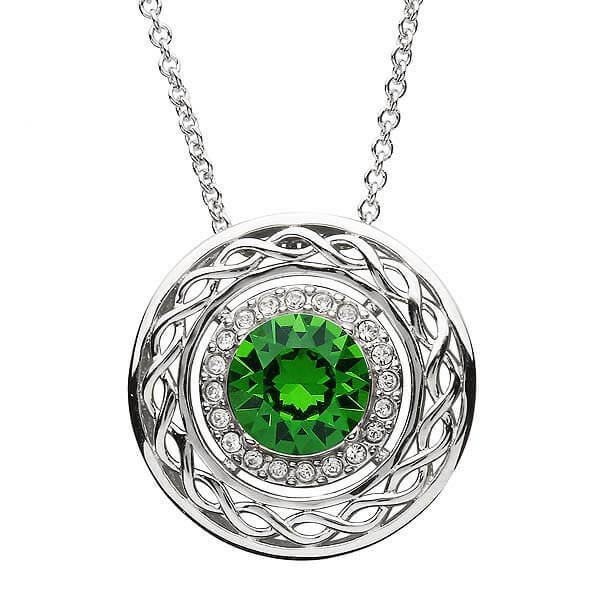 This Celtic pendant combines ancient Celtic influences with modern halo design. 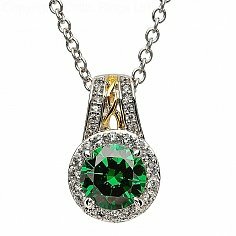 The center is a flawless emerald coloured Swarovski® crystal surrounded by a halo of smaller crystals. This is then separated with a Celtic weave border. 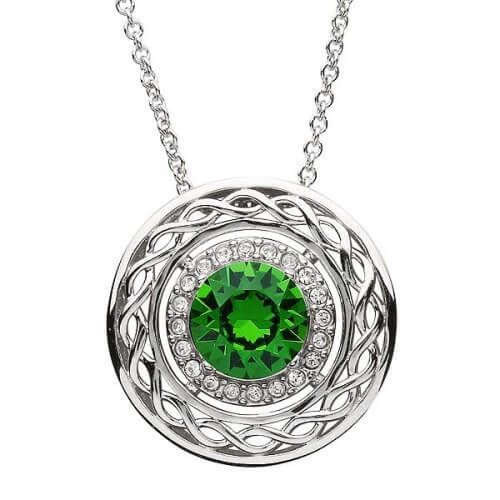 A silver chain passes through an invisible two-hole bail to finish the necklace.